Maximizing conception rates is directly tied to nutrition. BioZyme, manufacturer of natural vitamin/mineral supplement VitaFerm® Concept-Aid®, will be featured November 30 and December 6 on RFD-TV’s The American Rancher show. BioZyme experts along with VitaFerm customers will discuss the benefits of nutrition in cow reproduction and share their first-hand experiences using the breeding mineral Concept-Aid. Getting cows ready to conceive takes planning. Maximizing conception rates is directly tied to nutrition, which leads to better body condition scores and improved fertility. 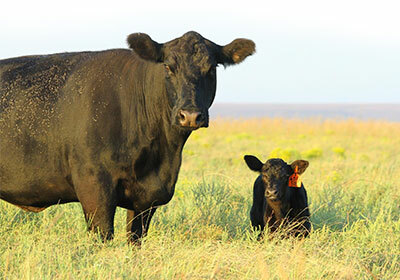 Cattle need a diet balanced with energy, protein, vitamins, minerals and trace minerals. Concept-Aid has been tried and tested in the field to improve cow conception. Concept-Aid is a highly fortified vitamin, mineral and organic trace mineral supplement containing BioZyme’s proprietary Amaferm® product – a natural feed additive that acts as a prebiotic to increase digestibility and maximize the energy value of feed. Concept-Aid specifically targets cow cycling, egg production, conception and bull fertility and is nutrient-dense to compliment low quality forage. Concept-Aid is available in a variety of formulations. For more information about Concept-Aid, click here.